Take the day (or half a day) off! There is nothing quite like having the time to myself and prepare for the night with the girls. I catch up on my emails and social media update in the morning and then take the day off. Even half a day off adds to the fun as I am able to unwind and get in the groove. If you have the luxury to take the day off, I would highly recommend you do that. I am a stickler for groomed nails and a GNO means they need to look perfect. I start with getting a manicure and pedicure. If my friends can join me even better. It is so much fun to relax, chic-chat, may be sip champagne (back when I did drink!) and get ready together. I always pick the most comfortable heels to wear for the GNO, since I already know it will be a long night starting from drinks, then dinner and ending with some dancing. If I have not worn the heels out enough, I make sure I wear them throughout the week at home. It helps to open them up for the night. 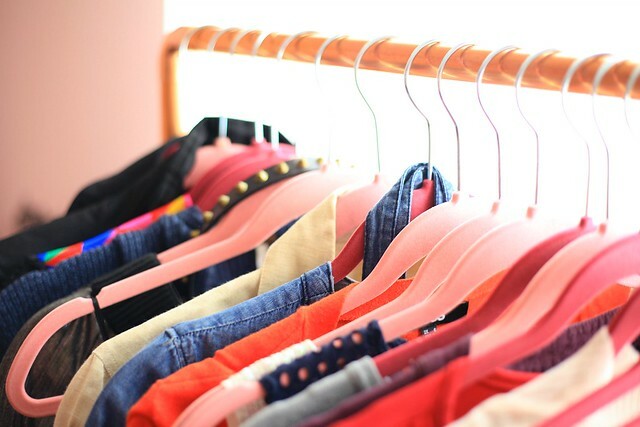 I always know what I am going to wear in advance, but the TYPE A in me is never quite content with just one option so I try and keep an outfit as back up. Sometimes it would be the weather and other times the fit, but it never hurts to have a few stand-by outfits ready. Changing my hair color every few months is the most exciting thing I do for myself. I always plan to color a day or two prior to the GNO. 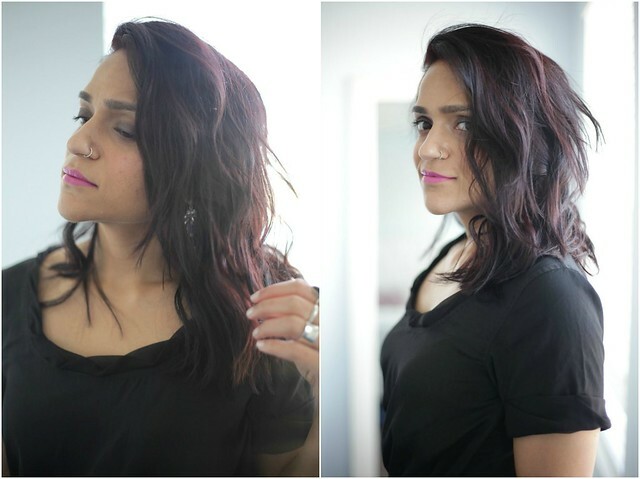 Recently I tried the Keratin Color from Schwarzkopf for the first time and was impressed with the results. 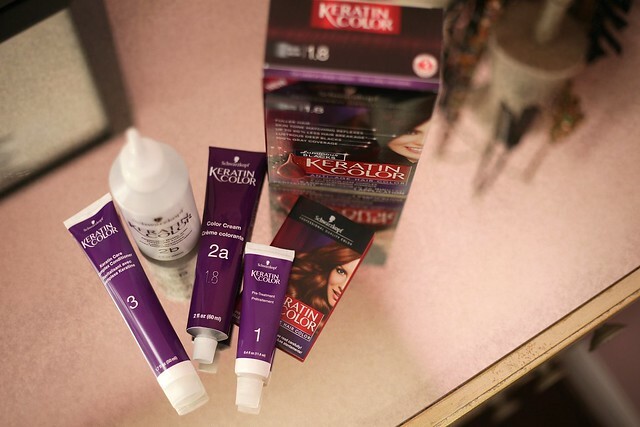 It is an anti-age hair color with Keratin Care Complex & Skin Flattering Pigments. I practically had fuller, younger looking hair in less than 30 mins. 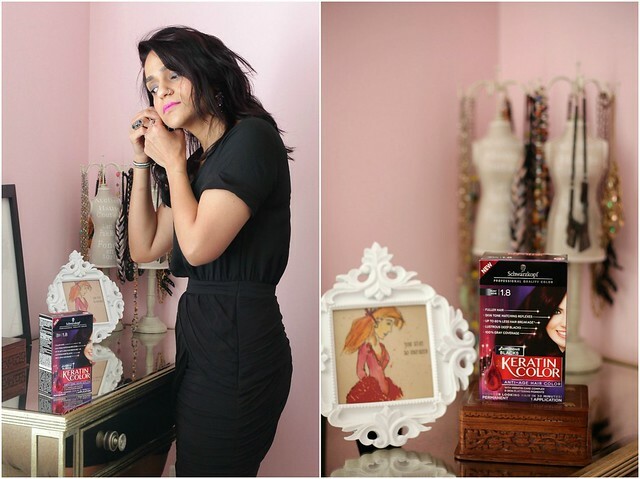 Be sure to check out Schwarzkopf for the right color for your hair and use the $2 back ibotta offer. 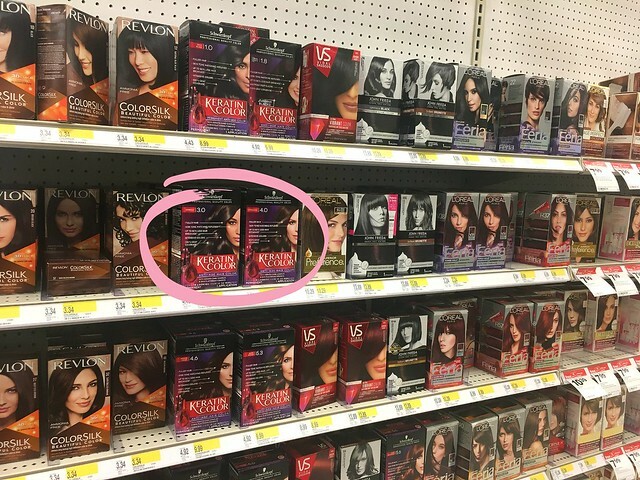 You can shop Keratin Color from Schwarzkopf at your local Target in the Hair Color aisle. I haven't done a Girls Night Out in forever. But these are all great tips for getting ready for one. 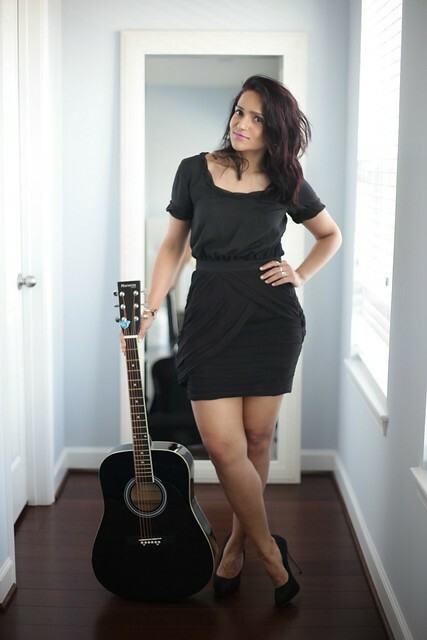 Love the shoes and the final look with the guitar. I love the contrast of the black and pink. You look fabulous as always. I absolutely love the style of your dress .. it looks amazing on you!